CHICAGO (AP) Zach LaVine is making the most of his limited minutes. ”That was pretty disgusting basketball,” Heat coach Erik Spoelstra said. 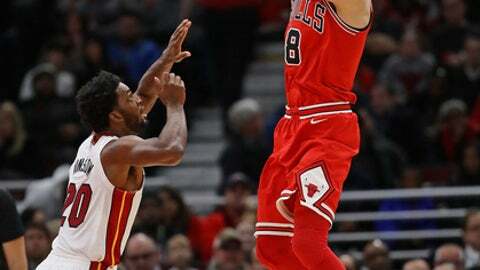 ”He came with a lot of confidence shooting, and he’s just so fast out there,” Nikola Mirotic said.